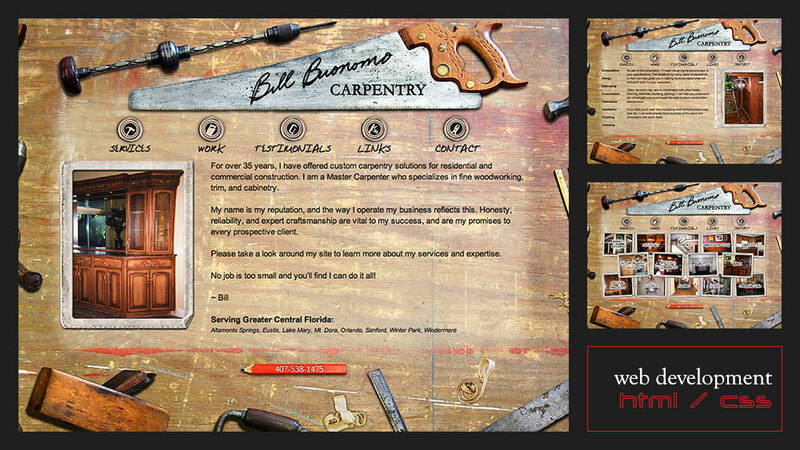 Bill Buonomo Carpentry wanted to bring in new business during difficult economic times. By establishing an online presence, he hoped to tap into a greater market and provide clients with an easily accessible portfolio of his work. The site design was based on his actual tools and workbench. Much of the site’s imagery was scanned from old photographs and required considerable retouching in Photoshop.